I have this Food Network quinoa salad recipe that I’ve been making for years. I’ve tweaked the original recipe to suit my own tastes so I don’t go by measurements when making it anymore. People often ask me for the recipe so naturally I go online to try and track down the original recipe with its measurements. But a couple of years ago when I was trying to dig up the online recipe to give to a friend, my web search came up empty. The recipe and the Food Network show it came from had vanished from cyberspace. I then googled the name of the food Network chef whose recipe it was and found out why the recipe had been wiped from cyberspace. Juan-Carlos Cruz, the former host of Food Network’s Calorie Commando was sentenced to nine years in prison for trying to hire two homeless men to murder his wife. Thankfully the men went to the police instead of taking Cruz up on his 1000$ offer. I am not one to make light of domestic violence – nor attempted murder but as justice was served in this case, I’m posting my version of the “Convict Commando’s” recipe and aptly re-naming it Killer Quinoa Salad. Cook quinoa according to packaging instructions (I add 1 cup of dried quinoa to 2 cups water and boil in saucepan on the stove until the water is completely absorbed/evaporated) – let cool to room temp. 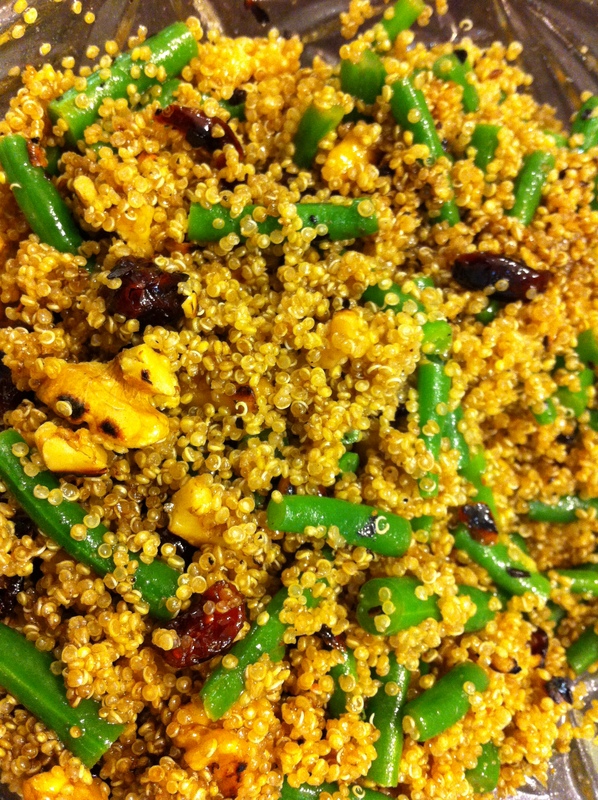 Mix all the other ingredients together in a large salad bowl and fold in the quinoa. Let sit in the refrigerator for at least ½ hour for flavour to soak-in to quinoa. Taste the salad and asjust olive oil & vinegar as needed. Six-Month Vaccine Day – How Sweet Pea avoided the needle and got a ride in an ambulance.